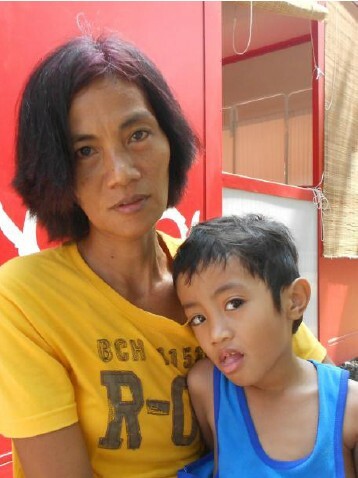 this week we have met Menzie and her son Adan (5 years old). They came to Kito Health to borrow a nebulizer (a drug delivery device used to administer medication in the form of a mist inhaled into the lungs) for Adan. Adan has indeed had asthma since he was about one year old. He gets asthma attacks from dust and smoke. “Before, we used to bring him to the City Health Office to get treatment. It’s difficult because sometimes we have to wait for a tricycle and travel to the city which can take more than one hour and can cost up to 50 pesos. Now that we are close to the Kito Health Center, it is much easier for us to borrow a nebulizer and have regular checks” related Menzie, Adan’s mother.